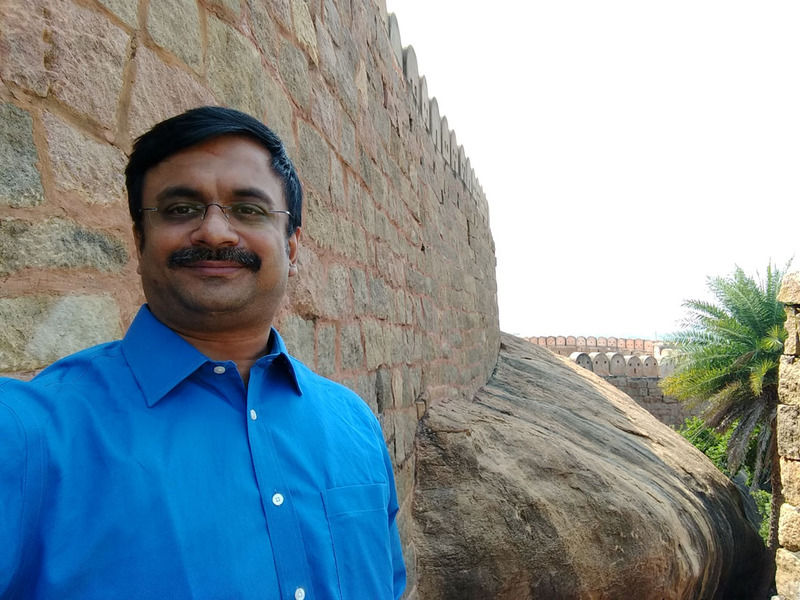 Early this week I was staying in Thanjavur (Tanjore) for few days. 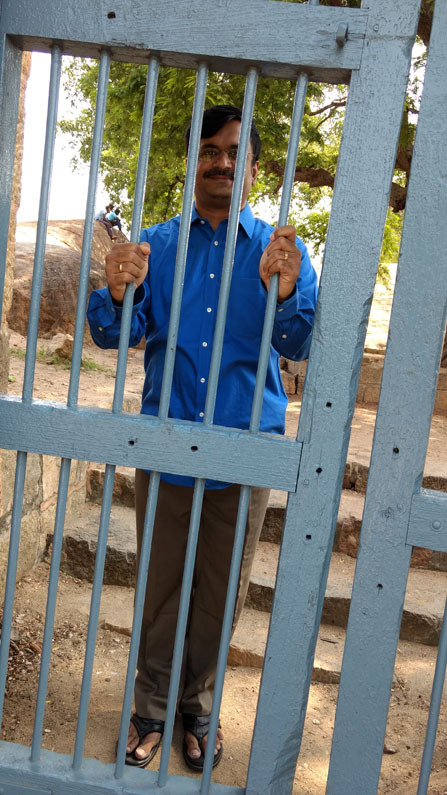 On Monday I went to see Thirumayam fort which is on the way to Karaikudi from Tanjore. 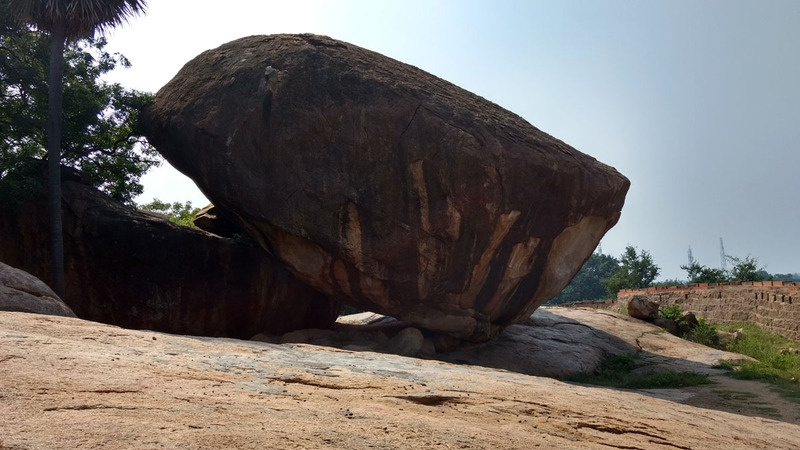 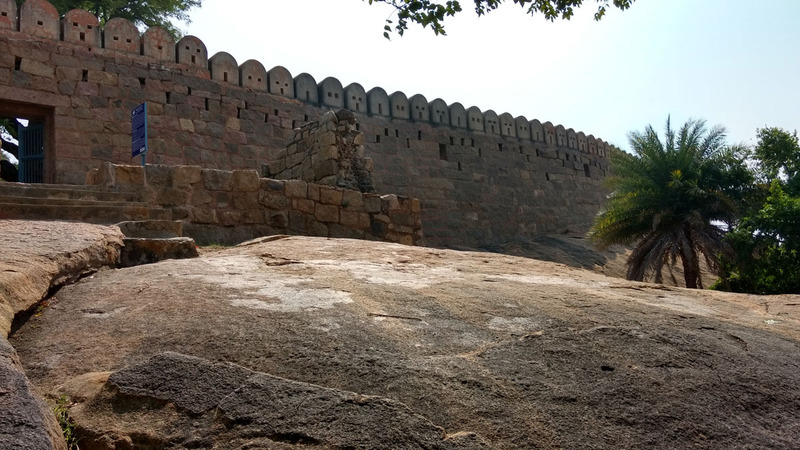 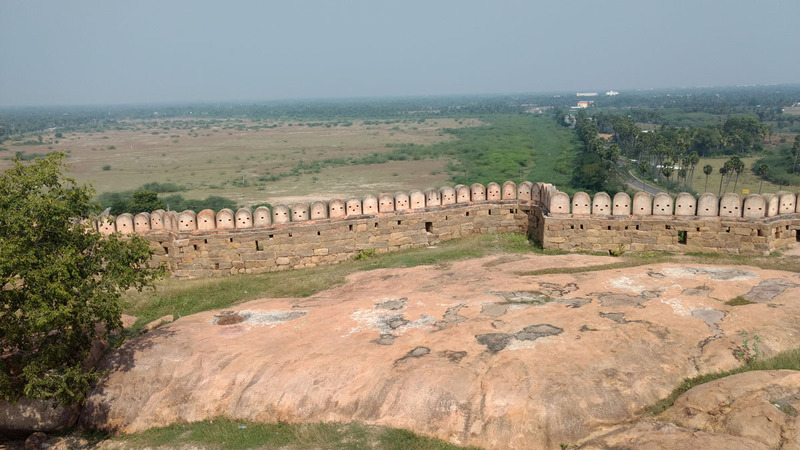 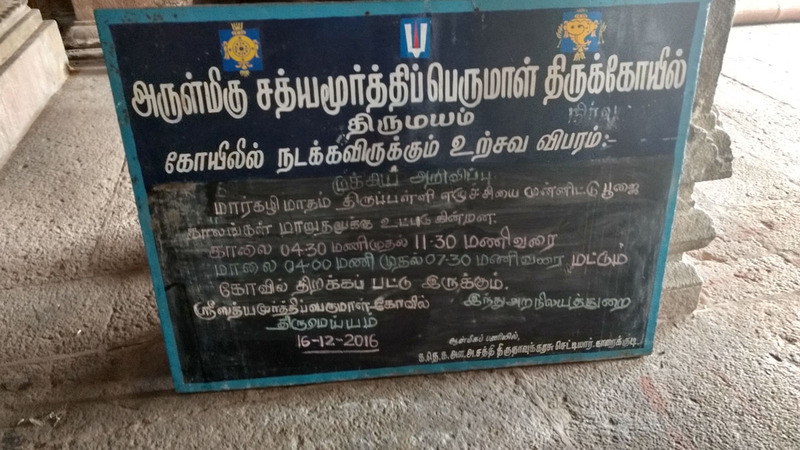 The fort was built in 17th century by Vijaya Raghunatha Sethupathi, the Raja of Ramnad and it was in this fort that Oomathurai the brother of Panchalankurichi chieftain Kattabomman was captured by Britishers. 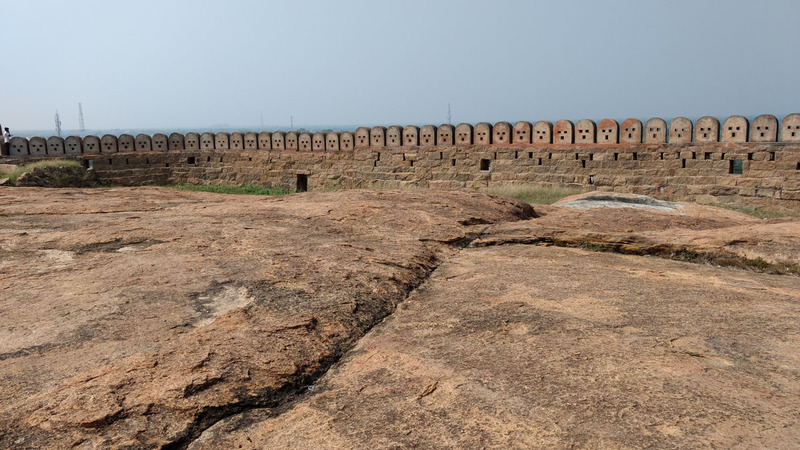 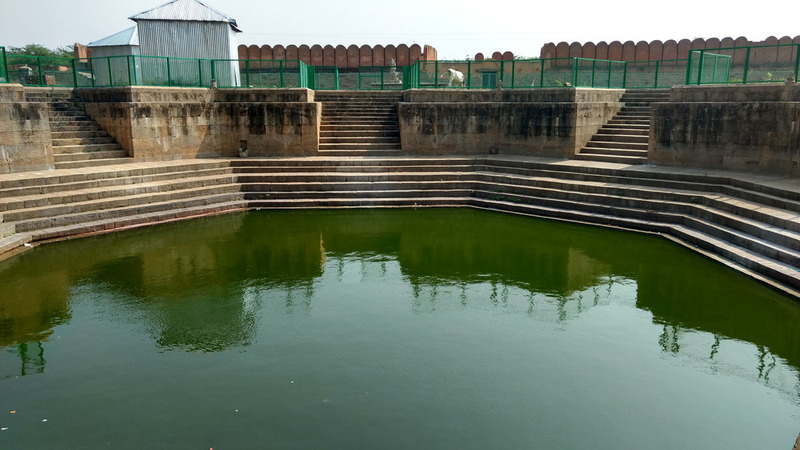 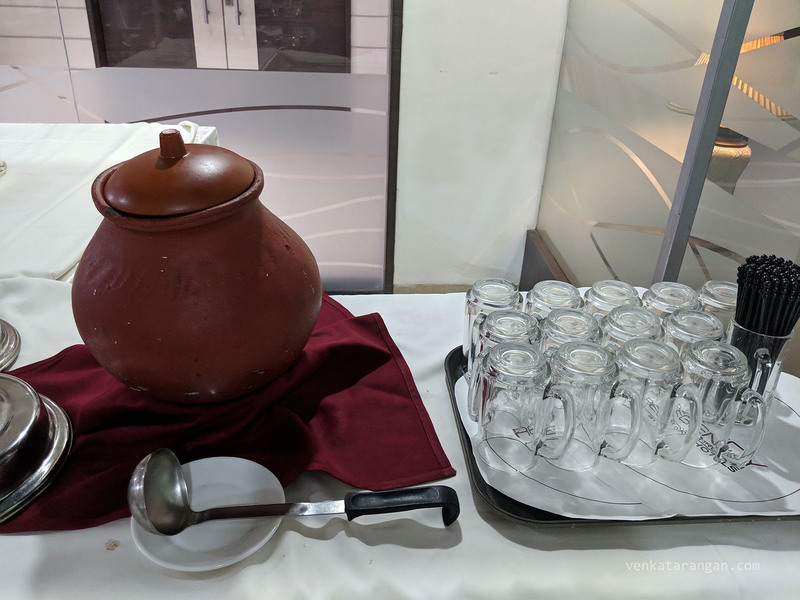 The fort is well maintained under the care of Archaeological Survey of India, it even has clean toilets with running water – a rarity in tourist places in India. 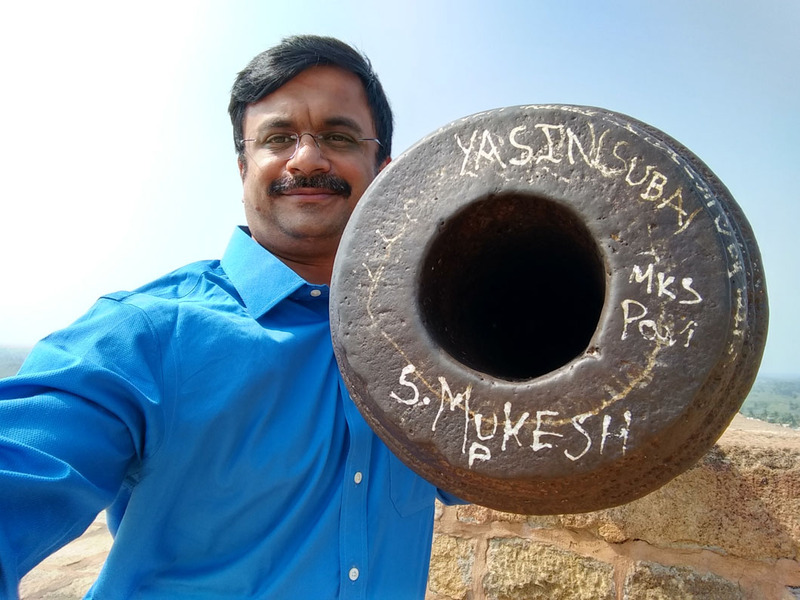 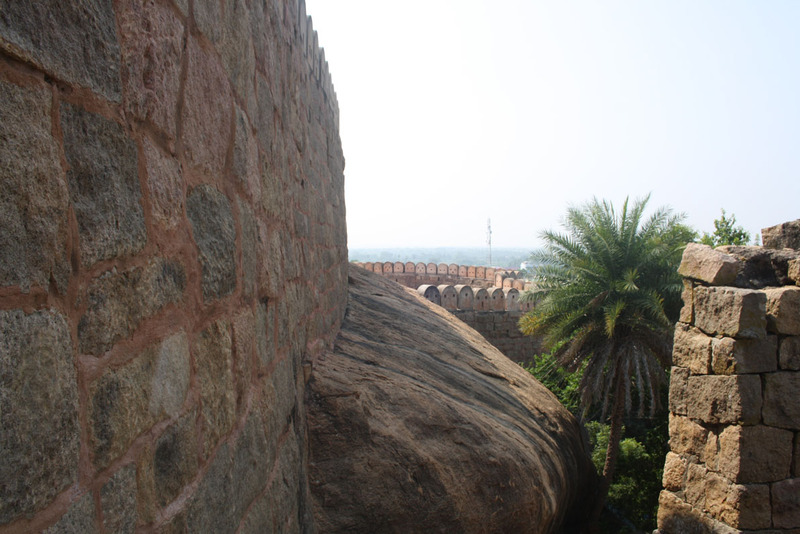 On top of the hillock inside the fort you will find a cannon barrel supposed to be used by the Britishers. 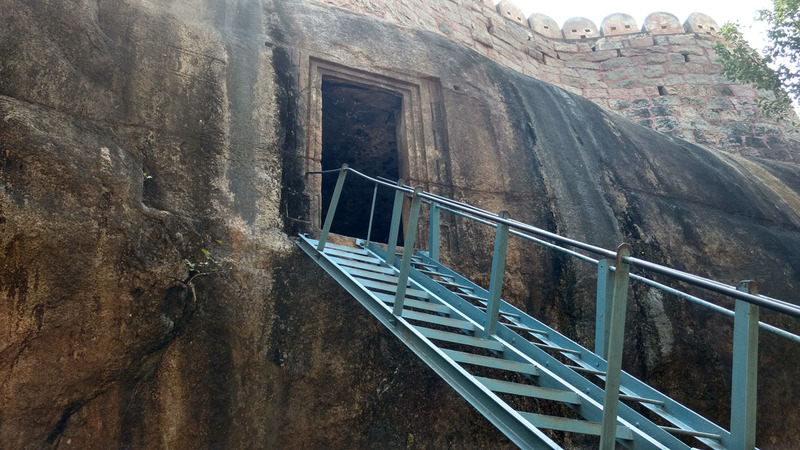 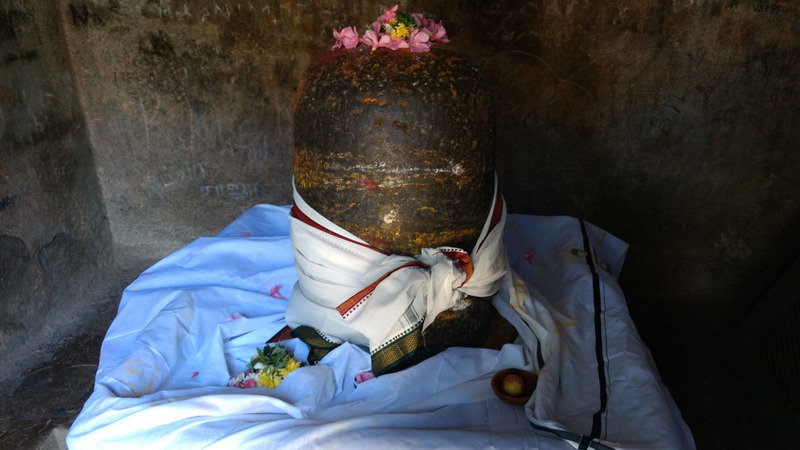 As you enter the fort, to the side of the path to cannon barrel you will see a cave which has an idol of Lord Siva (சிவலிங்கம்) which you can reach by climbing up a steel ladder. 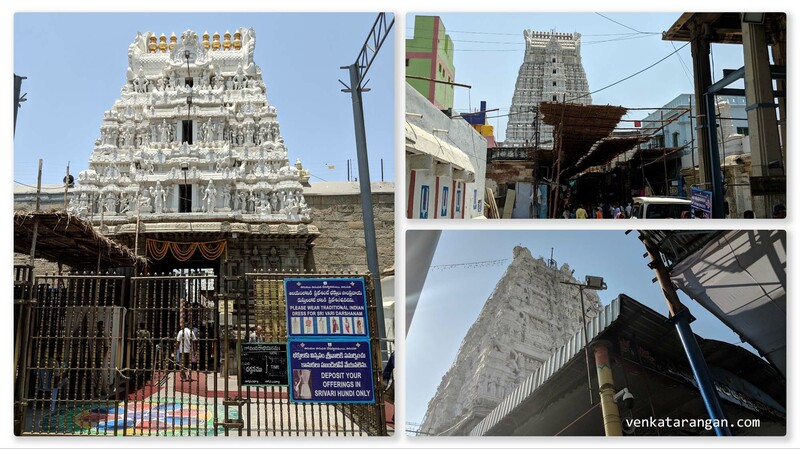 Behind the back of the fort entrance you will find Sathyamurthi Perumal Temple. 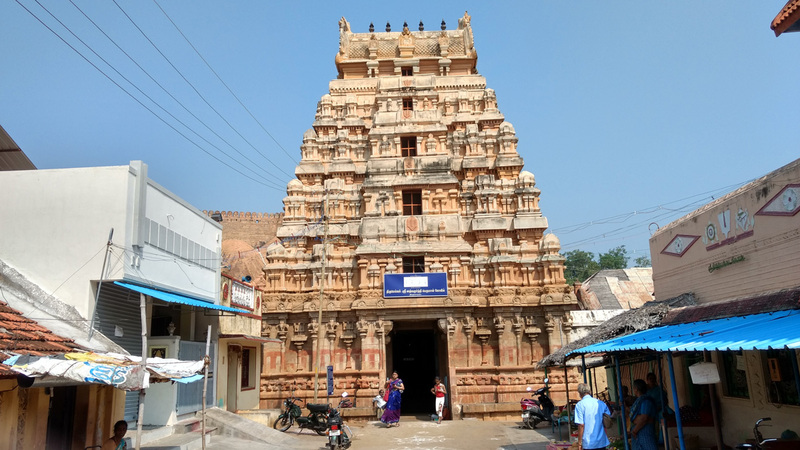 It is one of the 108 Divyadesam dedicated to Vishnu, who is worshiped as Sathyamurthi Perumal and his consort Lakshmi as Ujeevana Thayar. 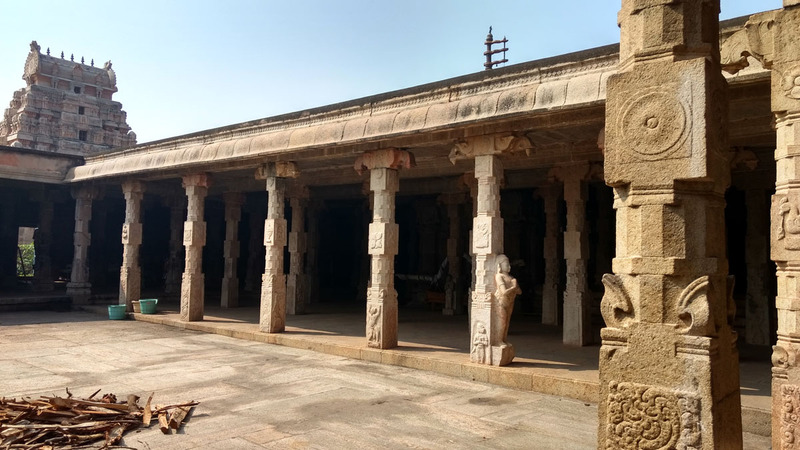 The temple is glorified in the Divya Prabandha by Azhwar saints from the 6th–9th centuries AD. 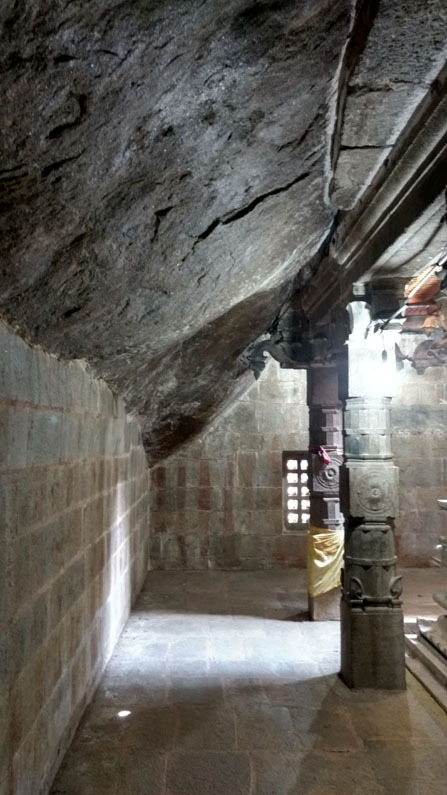 The temple has the largest idol of Lord Vishnu in his reclining pose (சயனத்திருக்கோலம்) carved inside a natural cave. 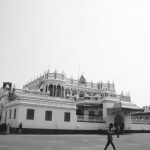 After Thirumayam our next stop was Kanadukathan (கானாடுகாத்தான்) to see the Chettinad palaces there.